Network Marketing Books & Audio Training! 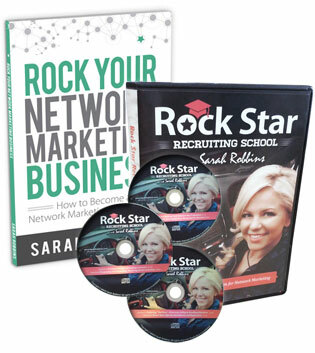 Sarah Robbins's Network Marketing Success Library! 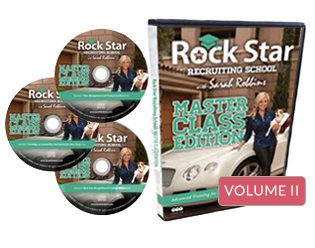 "Rock Star Recruiting School, Master Class Edition"
2 Hour Master Class with Sarah Robbins on how to POWER PROSPECT and ROCK YOUR RECRUITING in Network Marketing. Social Media Summit With Sarah Robbins on how to ROCK your recruiting and super-size your sales, on social media! 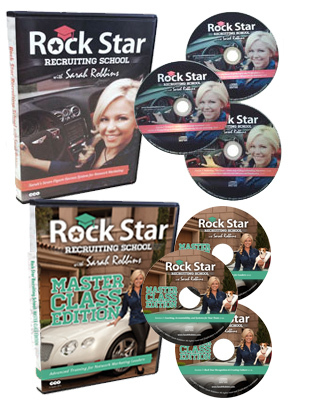 "Rock Star Recruiting School, Master Class Edition MP3's"
Supersize Your Sales in Network Marketing! SELLING Summit With Sarah Robbins on how to supersize your selling in your direct selling business! Learn how to present your business POWERFULLY! 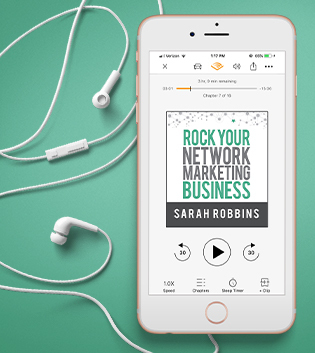 Join Sarah Robbins as she teaches you how to present your network marketing product and business POWERFULLY through live events, virtual events, calls, coffees, presentations, casual meetings, and so much more! 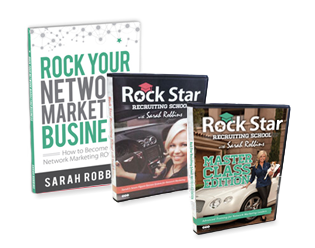 ROCK Your Network Marketing Business reveals Sarah Robbins’ step-by-step system for seven-figure success. You’ll discover how to promote products or services, power prospect, present your opportunity, powerfully “close,” power start your new distributors, and duplicate! 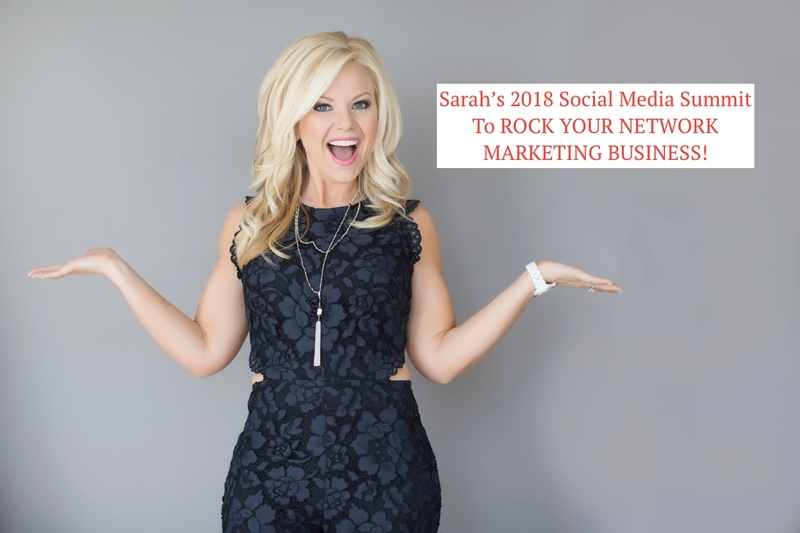 Join Sarah Robbins as she teaches you how to CRUSH YOUR CONVERSIONS, CRACK COMMON OBJECTIONS, and CONQUER THE CLOSE--to get more customers + consultants in your network marketing business! Seasonal Sales + Sponsoring Secrets With Sarah Robbins! Join Sarah Robbins as she teaches you how to supersize your sales + sponsoring this holiday-- and put some extra "jingle" in your pocket with seasonal sales strategy! Get Sarah’s top two tools for building a seven-figure network marketing business at a discounted price! 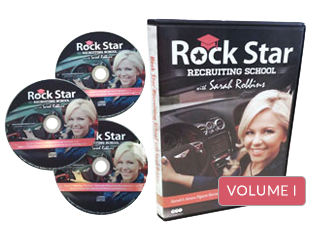 The combo includes both the “Rock Star Recruiting Audio Set” and the ROCK Your Network Marketing Business book. RockSTART! 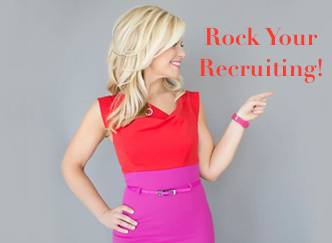 Get You (+ Your Team) Off to a ROCKIN Start! 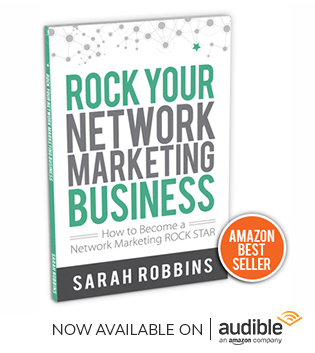 Join Sarah Robbins as she teaches you how to get yourself (+ your team) off to a rockin start! 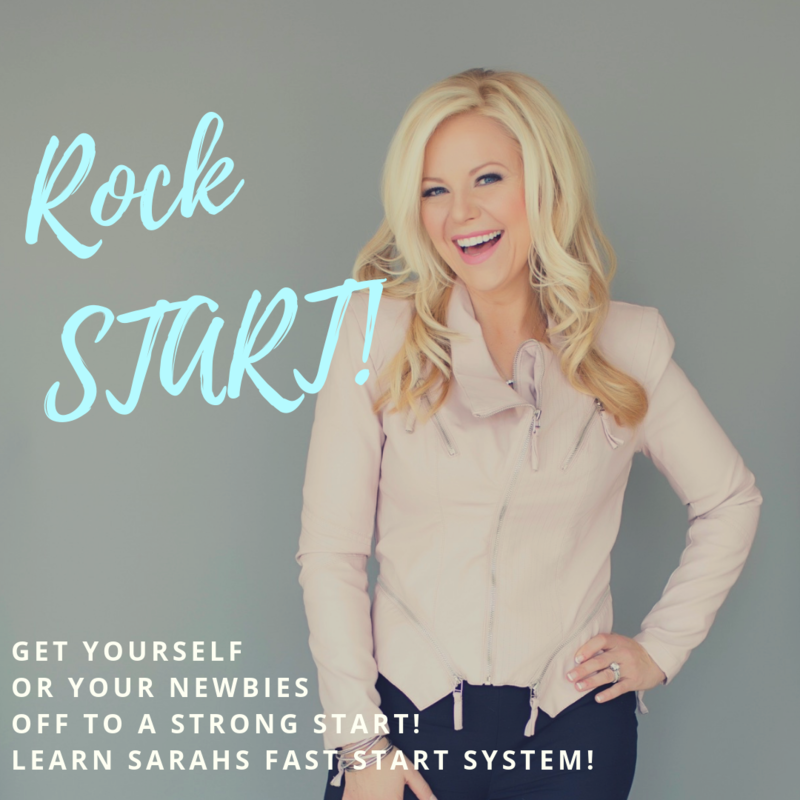 Learn Sarah's proven system for starting your new team member strong...or if you are new or desire a fresh start or fast start yourself, this program is for you! 110-Page Paperback Book by Sarah Robbins, now available on Audible too! Discover how to develop an entrepreneur's mindset, build bigger volume with a large customer and consultant base, master the art of inviting, give powerful presentations, establish simple systems for dynamic duplication, and much more! Discover time management and tools for leaders, how to implement effective coaching, accountability, and systems for your team, and how to rock your recognition & create culture that will cause your team to be unstoppable!